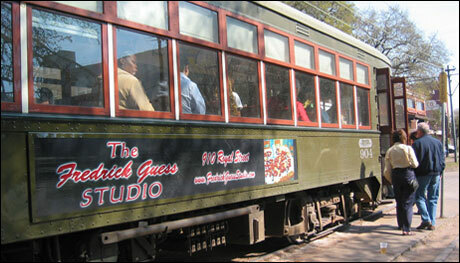 Welcome to the Fredrick Guess Studio website! We've worked to make everything easier to navigate so that you can find all that you need more quickly. Want to check up on the currently available paintings by Fredrick Guess or get the artist's biography or find out what's happening at the gallery? Just click on the page link above! Be sure to check out the News, Events list and the Color Your World workshops, too! Fredrick Guess had the honor to paint a portrait of His Holiness John Paul II for the St. Louis Cathedral & Basilica commemorating his 1987 visit to New Orleans. This painting is viewed by all of the millions of visitors who come to see America's oldest Cathedral. We now offer full service custom framing!